I’d never realised how much I needed to see Elsa trying to freeze ocean waves, but here we are! 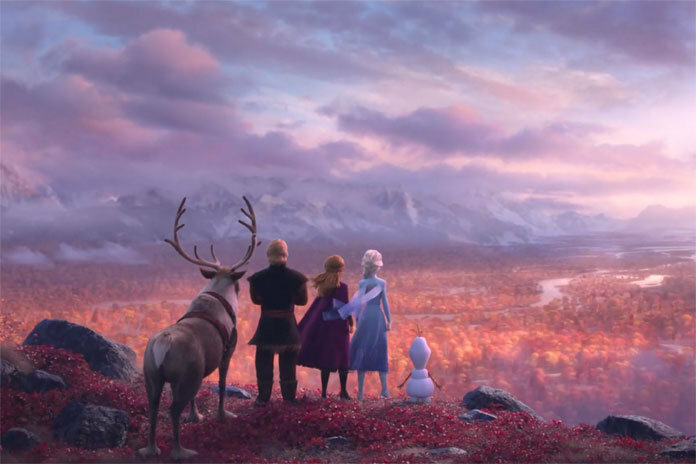 Yes, the teaser trailer is finally here for Frozen II. I’m not ashamed to say I’m a big fan of the first movie – I have kids, I have been to the sing-a-long, ok?! – and I’m actually pretty excited for this one. From the Academy Award-winning team—directors Jennifer Lee and Chris Buck, and producer Peter Del Vecho—and featuring the voices of Idina Menzel, Kristen Bell, Jonathan Groff and Josh Gad, and the music of Oscar-winning songwriters Kristen Anderson-Lopez and Robert Lopez.